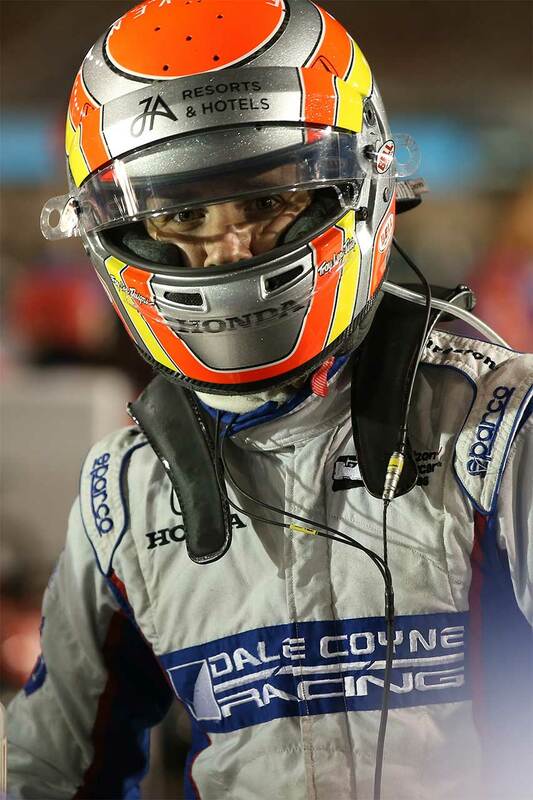 Ed Jones successfully navigated the various perils and pitfalls of his first oval race in the fiercely-disputed Verizon IndyCar Series at Phoenix International Raceway last weekend, as the talented young Dubai, UAE-based ace took the chequered flag just outside the top ten with Dale Coyne Racing. 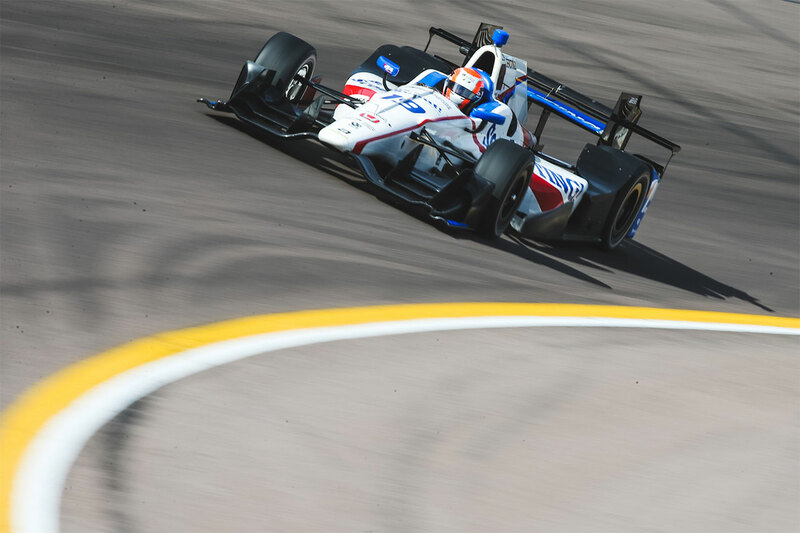 Ovals are a unique challenge in North American motorsport and call for a completely different mindset to traditional road courses and street circuits, but Jones had already proved his proficiency and his abilities as a quick learner en route to the coveted Indy Lights crown in 2016, including a close second-place finish at Phoenix along the way. The 22-year-old Brit returned to the short Arizona oval buoyed by a productive test there earlier this season – during which he had grasped the opportunity to gain as much experience as possible – albeit anticipating a demanding weekend, with only a single practice session to prepare for qualifying, which took place in cool and windy conditions. With competitors required to punch in a brace of fast laps straight out-of-the-box, the pressure was on but Jones rose to the occasion to secure 16th spot on the starting grid amongst the 21 high-calibre protagonists, outpacing a quintet of more established rivals behind the wheel of his 720bhp Dallara-Honda single-seater – at an average speed of an eye-watering 190.029mph. 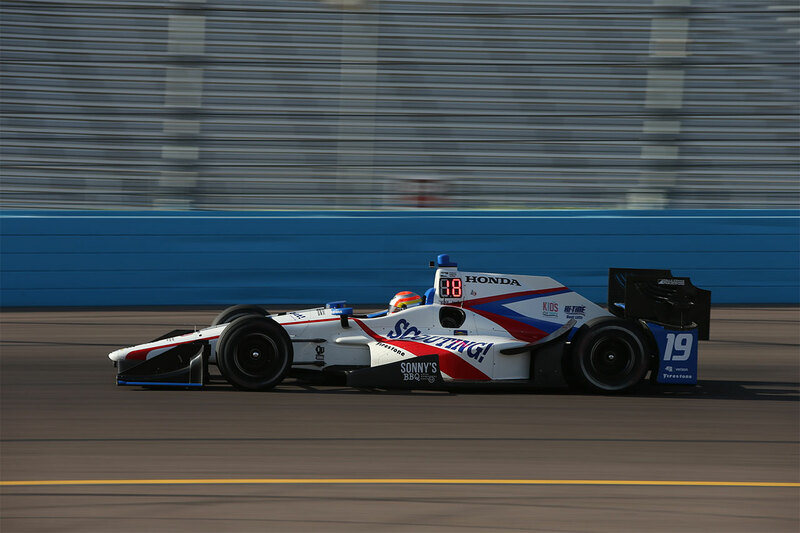 In the following day’s 250-lap Phoenix Grand Prix held under the Arizona floodlights – the first of six oval outings on the 2017 IndyCar schedule – the former European F3 Open Champion artfully steered clear of an early mêlée that removed a number of cars from the reckoning, before settling into 14th position. 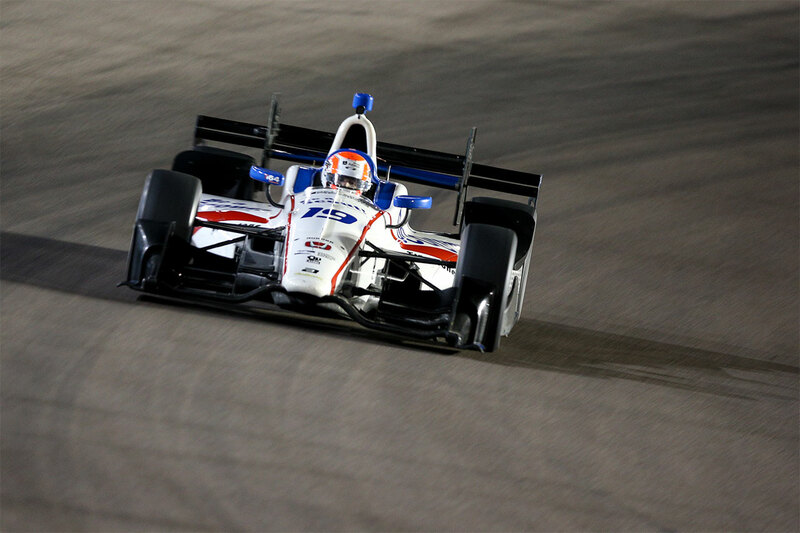 Making further progress over the second half of the race by dint of carefully staying out of trouble on a night when several more seasoned adversaries erred, Jones took advantage of rapid pit-stops by his DCR crew to cross the finish line in 11th place, in so doing consolidating his top ten standing in the drivers’ classification at the pinnacle of US open-wheel competition. 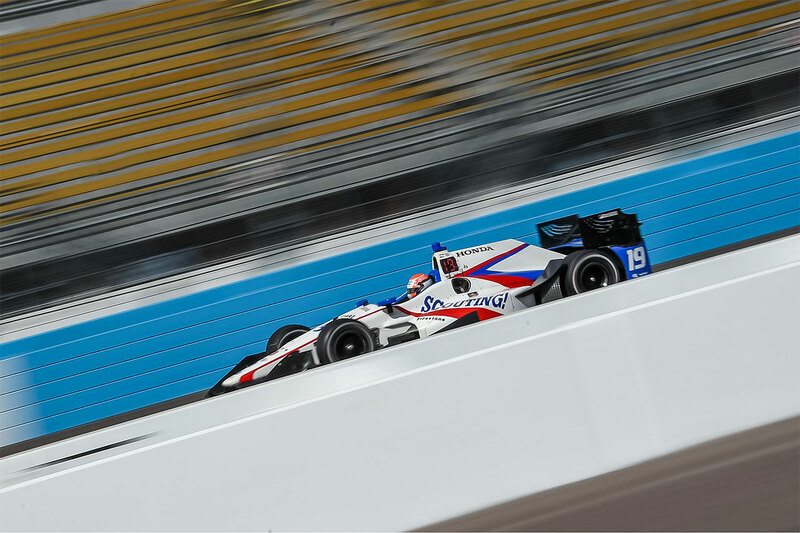 Next up for the series’ star rookie is the celebrated ‘Month of May’, comprising the IndyCar Grand Prix in two weeks’ time followed by the 101st edition of the legendary Indianapolis 500 a fortnight later. 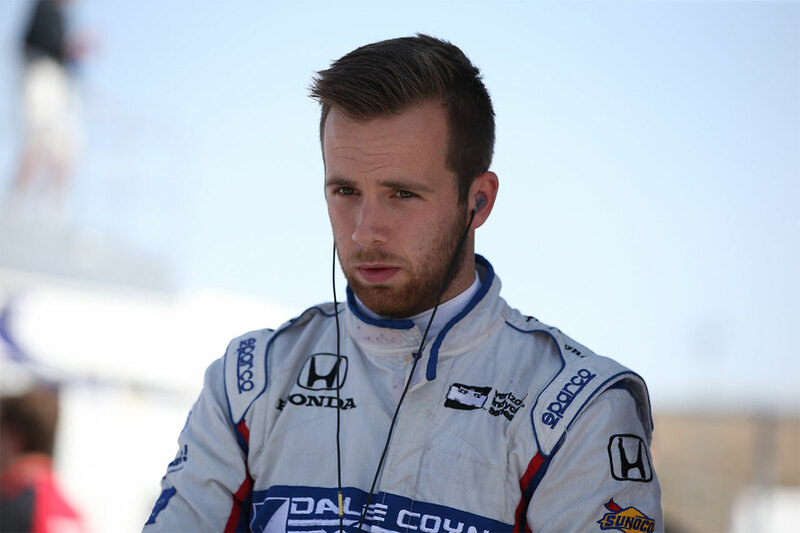 “I felt pretty comfortable at Phoenix, having done well there last year in Indy Lights and following the test a couple of months ago,” revealed Jones, who is managed by Williams-Harfield Sports Group. “It’s probably one of the trickiest ovals, I’d say, just because of its characteristics and we knew it would likely be a tough weekend, but I was looking forward to it. “The car was pretty good in qualifying. The conditions were very different to how they had been in practice, and it was so much cooler that I didn’t feel fully confident on my first lap and had a bit too much understeer, but otherwise it was a decent effort.